Kim Dotcom and MEGA: Piracy or Privacy? Kim Dotcom is obviously not his real name, but isn’t that a brilliant name to replace something as ordinary as Kim Schmitz? Well, okay, his real last name may not be that ordinary, but the recall value of Dotcom is just incomparable. Although it’s not as if this guy needs even more recall value. Together with his name, you probably have been hearing about “MEGA” left and right in the past few months. MEGA is the successor of Megaupload, which was founded by the Finnish-German national who now calls New Zealand home. 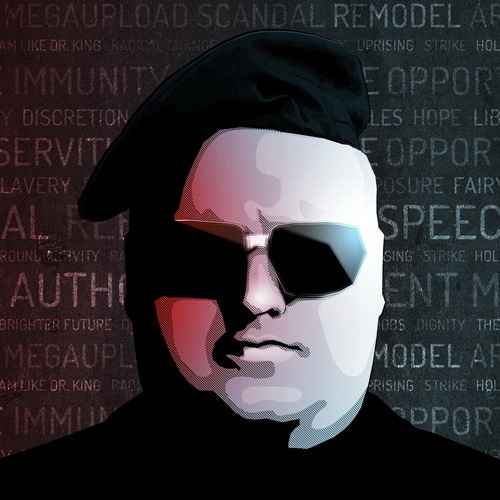 The takedown of the file hosting service was the talk of the town, and in spite of the massive setback, Kim Dotcom is back – with a vengeance. If you want to know more about what he has been up to, here is a useful infographic about MEGA, Kim Dotcom’s new venture. MEGA stands for Mega Encrypted Global Access, and it is a cloud storage provider – officially. It offers free and paid net-accessible storage space and bandwidth, starting at 50GB (the free one). That number alone is enough to understand why Kim Dotcom has once again gotten the attention of people around the world – both users and critics. With 500 uploads every second, MEGA is definitely a force to contend with. More details in the infographic below.